Clear dusty old gold color. Bright, fruity, toasty aromas and flavors of banana bread pudding and waxy apple and pear with an even, bright, finely carbonated, off-dry medium body and a smooth, interesting, medium-length finish that exhibits notes of delicately spiced praline, honeyed sprouts, and citrus finish. A delicious and beautifully balanced wheat ale that is a pleasure to drink. 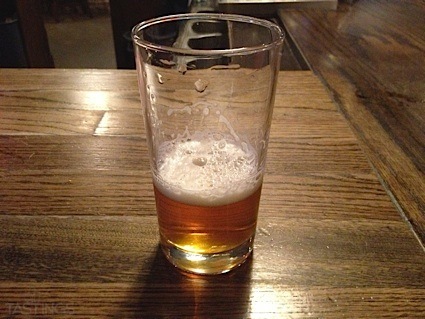 Bottom Line: A delicious and beautifully balanced wheat ale that is a pleasure to drink. New Glarus Brewing Co. 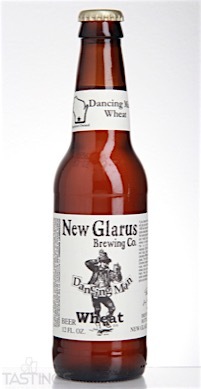 Dancing Man Wheat Ale rating was calculated by tastings.com to be 94 points out of 100 on 4/29/2016. Please note that MSRP may have changed since the date of our review.